2018 Ford EcoSport SE 4D Sport Utility Shadow Black I4 4WD 23/29 City/Highway MPG Priced below KBB Fair Purchase Price! *Home of the No-Hassle Deal * Every Vehicle is Priced Up Front based on the KBB.com Price Advisor from Kelly Blue Book. * Get an Instant Quote for your trade-in * Experience The Castle Difference... Free Vehicle Delivery (Up to 50 miles), 72-Hour Love it or Exchange it Policy and much more... * Fast, Free Vehicle Appraisals, Written Offer Valid For 3 Days! Prices do not include government fees and taxes, any finance charges, any dealer document processing charge, and any electronic filing charge. * All vehicles sold on a first come, first serve basis. * By submitting your information you are authorizing us to be able to call, text, email you with additional information on this vehicle. * Price includes all applicable rebates: Rebates can not be combined with special APR offers. 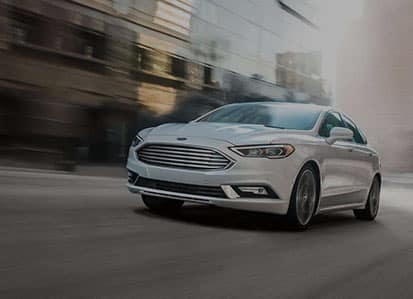 2018 Ford Taurus SEL 4D Sedan Blue Metallic 3.5L V6 Ti-VCT FWD 18/27 City/Highway MPG Priced below KBB Fair Purchase Price! *Home of the No-Hassle Deal * Every Vehicle is Priced Up Front based on the KBB.com Price Advisor from Kelly Blue Book. * Get an Instant Quote for your trade-in * Experience The Castle Difference... Free Vehicle Delivery (Up to 50 miles), 72-Hour Love it or Exchange it Policy and much more... * Fast, Free Vehicle Appraisals, Written Offer Valid For 3 Days! Prices do not include government fees and taxes, any finance charges, any dealer document processing charge, and any electronic filing charge. * All vehicles sold on a first come, first serve basis. * By submitting your information you are authorizing us to be able to call, text, email you with additional information on this vehicle. * Price includes all applicable rebates: Rebates can not be combined with special APR offers. 2019 Ford Edge SEL 4D Sport Utility Magnetic 2.0L FWD 22/29 City/Highway MPG Priced below KBB Fair Purchase Price! *Home of the No-Hassle Deal * Every Vehicle is Priced Up Front based on the KBB.com Price Advisor from Kelly Blue Book. 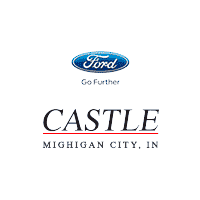 * Get an Instant Quote for your trade-in * Experience The Castle Difference... Free Vehicle Delivery (Up to 50 miles), 72-Hour Love it or Exchange it Policy and much more... * Fast, Free Vehicle Appraisals, Written Offer Valid For 3 Days! Prices do not include government fees and taxes, any finance charges, any dealer document processing charge, and any electronic filing charge. * All vehicles sold on a first come, first serve basis. * By submitting your information you are authorizing us to be able to call, text, email you with additional information on this vehicle. * Price includes all applicable rebates: Rebates can not be combined with special APR offers. 2018 Ford Explorer XLT 4D Sport Utility Blue Metallic 3.5L V6 Ti-VCT AWD 16/22 City/Highway MPG Priced below KBB Fair Purchase Price! *Home of the No-Hassle Deal * Every Vehicle is Priced Up Front based on the KBB.com Price Advisor from Kelly Blue Book. * Get an Instant Quote for your trade-in * Experience The Castle Difference... Free Vehicle Delivery (Up to 50 miles), 72-Hour Love it or Exchange it Policy and much more... * Fast, Free Vehicle Appraisals, Written Offer Valid For 3 Days! Prices do not include government fees and taxes, any finance charges, any dealer document processing charge, and any electronic filing charge. * All vehicles sold on a first come, first serve basis. * By submitting your information you are authorizing us to be able to call, text, email you with additional information on this vehicle. * Price includes all applicable rebates: Rebates can not be combined with special APR offers. 2019 Ford F-150 XLT 4D SuperCrew Ruby Red EcoBoost 2.7L V6 GTDi DOHC 24V Twin Turbocharged 4WD 19/24 City/Highway MPG Priced below KBB Fair Purchase Price! *Home of the No-Hassle Deal * Every Vehicle is Priced Up Front based on the KBB.com Price Advisor from Kelly Blue Book. * Get an Instant Quote for your trade-in * Experience The Castle Difference... Free Vehicle Delivery (Up to 50 miles), 72-Hour Love it or Exchange it Policy and much more... * Fast, Free Vehicle Appraisals, Written Offer Valid For 3 Days! Prices do not include government fees and taxes, any finance charges, any dealer document processing charge, and any electronic filing charge. * All vehicles sold on a first come, first serve basis. * By submitting your information you are authorizing us to be able to call, text, email you with additional information on this vehicle. * Price includes all applicable rebates: Rebates can not be combined with special APR offers. 2019 Ford Edge ST 4D Sport Utility Blue Metallic EcoBoost 2.7L V6 GTDi DOHC 24V Twin Turbocharged AWD 19/26 City/Highway MPG Priced below KBB Fair Purchase Price! *Home of the No-Hassle Deal * Every Vehicle is Priced Up Front based on the KBB.com Price Advisor from Kelly Blue Book. * Get an Instant Quote for your trade-in * Experience The Castle Difference... Free Vehicle Delivery (Up to 50 miles), 72-Hour Love it or Exchange it Policy and much more... * Fast, Free Vehicle Appraisals, Written Offer Valid For 3 Days! Prices do not include government fees and taxes, any finance charges, any dealer document processing charge, and any electronic filing charge. * All vehicles sold on a first come, first serve basis. * By submitting your information you are authorizing us to be able to call, text, email you with additional information on this vehicle. * Price includes all applicable rebates: Rebates can not be combined with special APR offers. 2019 Ford F-250SD XLT 4D Crew Cab Blue 6.2L SOHC 4WD Priced below KBB Fair Purchase Price! *Home of the No-Hassle Deal * Every Vehicle is Priced Up Front based on the KBB.com Price Advisor from Kelly Blue Book. * Get an Instant Quote for your trade-in * Experience The Castle Difference... Free Vehicle Delivery (Up to 50 miles), 72-Hour Love it or Exchange it Policy and much more... * Fast, Free Vehicle Appraisals, Written Offer Valid For 3 Days! Prices do not include government fees and taxes, any finance charges, any dealer document processing charge, and any electronic filing charge. * All vehicles sold on a first come, first serve basis. * By submitting your information you are authorizing us to be able to call, text, email you with additional information on this vehicle. * Price includes all applicable rebates: Rebates can not be combined with special APR offers.